Plenty of time, a whole handful of hours left to prep the slides, print off handouts, review the latest draft newsletter, clean a few dozen database entries, put the finishing touches on a post-event mailer, provide comment on a new website layout, tweak a LinkedIn profile, create another one, …flicker, flutter, gone. Had my to-do list finally blown a fuse? Tripped a breaker? Gone on strike? It turned out that it wasn’t just an electricity surge, but a full-blown power outage. Caused by butterfly wings. Somewhere in the world, a butterfly took flight, which disturbed the airflow, caused the winds to gather speed, whipped the clouds up into a fury, induced a rain dump on an ancient Douglas fir, snapped the branch, hit the power line that stopped feeding the coffee machine and computer and printer – somewhere else in the world. Silence. Wait a few minutes. The friendly recorded message confirms, there’s no juice and there won’t be any for at least an hour. What do you do with an unexpected gift of 60 minutes? Rearrange the to-do list; replay the presentation in your mind (you CAN do it without slides); hand brew a coffee (nope, can’t grind the beans); kick yourself for not having charged your phone battery? Stop. This gift came from somewhere, I was getting a message, loud and clear: pause. But what about the deadlines, the expectations, the craziness that is my schedule? Pause. As I sit here, in a local Starbucks, listening in on the crazed retelling of life-without-electricity stories all around, I am thankful for the words that my fingers are finding on a keyboard powered by borrowed electricity, a frothy cappuccino by my side. I’m collating the content, although I can’t share it right away, since even Starbucks wifi isn’t immune to butterfly wings. Next postWhat, only 3 tips for mighty good blogging? I, for one, am grateful for the flapping of those wings. Why, might you ask? For the simple reason that I get to enjoy a post from you, Kathrin. Pause. Take stock. Evaluate. Problem solve. Create. 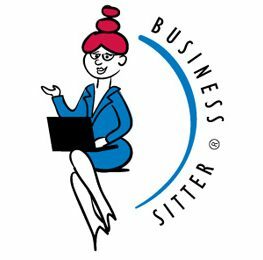 Just like what you do as Kathrin, Business Sitter – in a Starbucks near you! Between us we have quite the Lepidoptera collection, Marianna! Meanwhile, less than 5 minutes as the butterfly flaps, life went on with mere downed intersection lights. Didn’t you have any potatoes and copper wire handy?